With its automation and control knowledge and large engineering and technical background Contel is able to deliver the most sophisticated robotic solution and implementations in a variety of industry segments. One of our unique offerings is integrating robotics solutions with other solutions in our portfolio such as automation system, MES systems and vision systems and thus delivering an Industrie 4.0 grade solution that will save wasted resources (labor and material) and will dramatically increase the output from your production lines. FANUC is the leading global manufacturer of factory automation, with almost 40 years of experience in the development of robot technology, more than 380,000 robots installed worldwide, and satisfied customers in every corner of the globe. 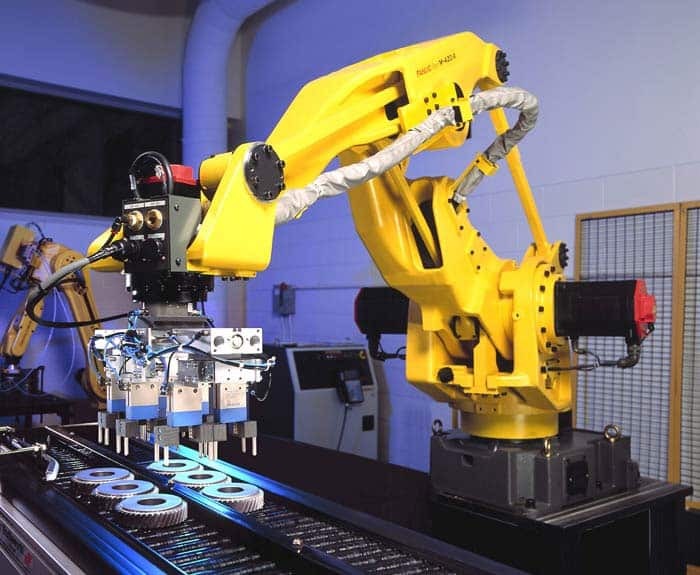 FANUC offers the widest range of robots in the world to cover the needs of diverse applications and industries. They are a key standard component – totally flexible with application-specific options, straightforward integration, and the colour of choice for demanding automation solutions. All you need is yellow.